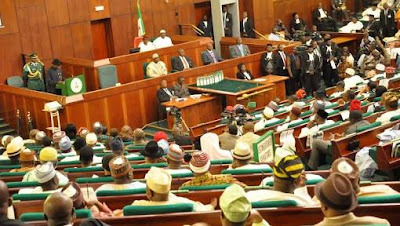 The 8th Nigerian Senate yesterday, passed the repeal and re-enactment of the Companies and Allied Matters Act, which the legislative body termed the “biggest business reform bill in Nigeria in over 28 years’’ following the amendment of several regulatory bottlenecks for opening businesses and bringing the provisions in tangent with the technological realities of the 21st century which ultimately will promote investments and create more jobs. With the amended bill, Section 18 now reads that one individual can now open and run a company, unlike the previous provision where two or more people are required to run a business. This is especially good for start-up businesses as you basically don’t need to have a partner to start a company. With the amended bill, Section 31 now provides for the possibility of applications for reservation of names through electronic means from the comfort of our homes, which makes business easy and attractive to do. Imagine you have that big idea and have a brilliant name for it. You can simply reserve that name till you are ready to start the business. With the amendment, Section 34(2) now provides the option of submitting electronic copies of incorporation documents, in tangent with the technological realities of the 21stcentury, allowing you to register a business from anywhere in the world. This means we can all submit all the long list of documentation online. This saves a lot of stress and time involved in filing those annoying forms. Section 291 now provides that every company shall have a secretary who shall be appointed within 6 months of the date of incorporation of the company. Pursuant to the provisions of Section 213, small companies would now be permitted to hold their general meetings electronically, provided that such meetings are conducted in accordance with regulations made by the commission. This enables meetings to be carried on seamlessly and decisions reached faster. This is one of our favourites. It now means, companies can have e-meetings or teleconferences for their AGM’s. You need to travel far distances to have AGMs. Video calls will serve this purpose. Companies will now be permitted to provide financial assistance to their shareholders under the new Bill, unlike the current position which states that a company and its subsidiaries are prohibited from giving gifts, loans or other financial assistance. This innovation in the law reflects a market-friendly advancement from the current position as potential shareholders can now have access to more funds. Hmm…well, this means you can get your company to lend you some money. Typically directors give shareholder loans to companies. Now companies can return the favour legally. With the proposed law, a private company can reduce its share capital if a special resolution to that effect is passed, without the added burden of applying to court for a confirmation of the reduction. This means you don’t need a judge to approve a capital reduction. This saves a lot of time for big companies. For the purpose of Section 402, business rescue proceedings means proceedings to facilitate the rehabilitation of a company that is financially distressed. The Bill introduces an insolvency legal regime which has dual aim: to save viable businesses, and to ensure that non-viable businesses can quickly exit the market. This will strengthen economic stability in the country. In a nutshell, this provision allows business in distress to get the help that they need. A listed company that is in distress can easily exit the market withiut causing collateral damage. Section 595 is to the effect that the commission may order the suspension of trustees and order the appointment of an interim manager to carry on with the affairs. This is a welcome development and ultimately helps to safeguard the assets of the association from corrupt and manipulative hands. Section 92 has provisions which mandates the disclosure of beneficial interests in a company’s shares and prescribes punitive measures for failing to disclose such interests in Section 92(5) &(6). The law is seriously frowning at people who do not disclose ownership of shares in a company. You can’t be doing these things by proxy again. With the amended bill, companies can now authenticate documents by other means other than a common seal. This means you don’t need to stamp seals on documents anymore. The world is digital so who needs those seals. The limited liability partnership which was formerly practiced only in Lagos will now extend to the rest of the country, thereby increasing the potential for more development in the space. Just the same way you have limited liability companies, you can now have limited liability partnerships. The liability of the partners is now limited to their investment in the partership. Section 356 now exempts a company from appointing auditors: (i) if it has not carried on business since its incorporation and (ii) where the company’s turnover is not more than N10m and balance sheet total is not more than N5m. Oh great! So now, small businesses with annual sales of less than N10 need not have their accounts audited. This saves companies a lot of hassles of getting their accounts audited before filing for taxes. The Act certainly, is one of the biggest business reform bills which impacts the Nigerian business sphere. The proposed amendments to the Act would have the overall effect of making Nigeria’s metrics of doing business more fit for today’s technological realities, encourage young investors to register companies and increase the influx of Foreign investment. Kudos to the government on this one! Thanks to Nairametrics for proper breakdown.